Dale and Carole Cole, logistics volunteers at Calvary Chapel Old Towne in Orange, California, receive shoeboxes at their drop-off location, then fit them like puzzle pieces into cartons, and finally take them to collection centers. In addition, they recruit people to help them manage the volume of deliveries at the drop-off location. Dale Cole working at a drop-off location. Carole finds many joys in working in Logistics for Operation Christmas Child, a Samaritan’s Purse project. One in particular is learning the stories of those who drop off gifts. During National Collection Week 2014, a 19-year-old from Oregon was in California for medical appointments, staying at the local Ronald McDonald House. She had already packed shoeboxes in Oregon, but she wanted to bring one to a California drop-off location as well. While doing so, she asked for help in organizing a packing party at the Ronald McDonald House when she would return for a checkup in 2015. Carole excitedly agreed. 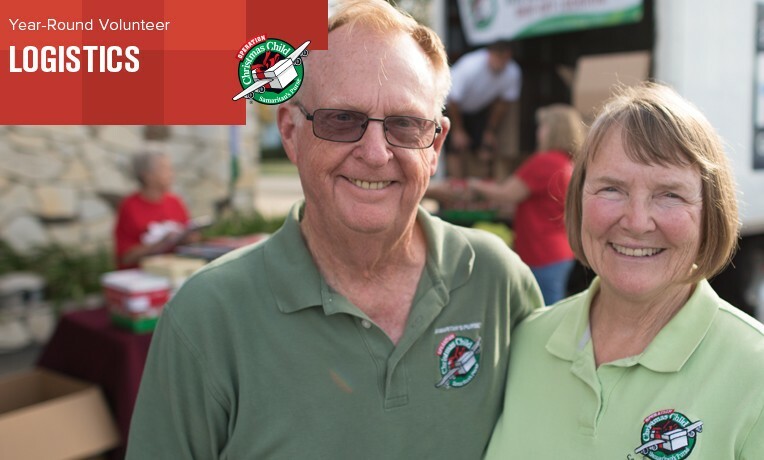 Dale and Carole not only facilitate others’ involvement with Operation Christmas Child, but also their home reflects their deep commitment to the work. “We actually remodeled our house to make more room for Operation Christmas Child,” Carole said. They took out a fireplace and reduced their great room by three feet in order to make a closet for the gifts they gather during the year. Retired, the Coles also facilitate a process in which men ranging in age from 72 to 84 make homemade wooden cars and whistles out of polyvinyl chloride (PVC) pipe for shoebox gifts. Then in November, during National Collection Week, the Coles invite volunteers at their drop-off location to finish assembling the cars and whistles when there are lulls in deliveries.